Join GMAS or the mourning dove gets it. 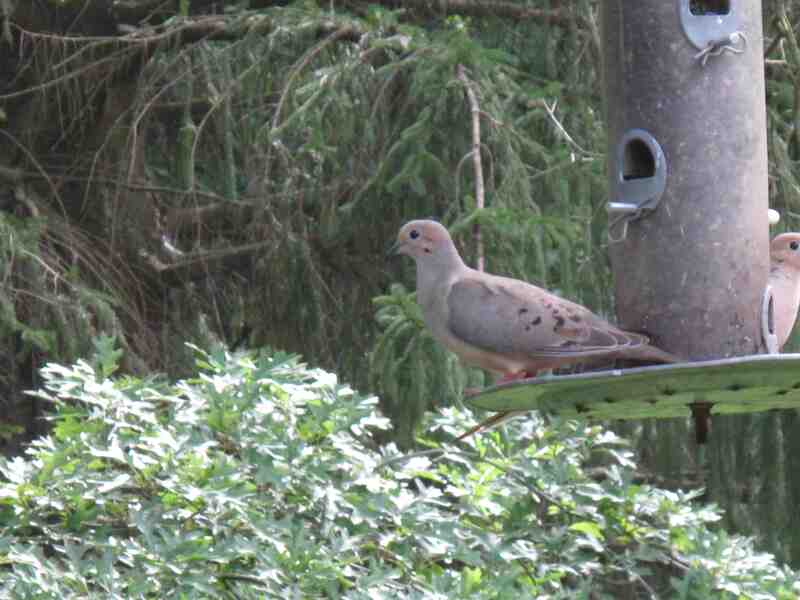 This is a column I wrote for the Greater Mohican Audubon Society newsletter. I’m putting it on my blog as an invitation to those who live in and/or love this area to join. I’m a Marxist. A Groucho Marxist. I’ve always lived by the Groucho creed: I’d never join a club that would have me as a member. But, in the case of the Greater Mohican Audubon Society, I’ve made an exception. Mainly because this is one club where your politics, religion, lifestyle and income level – or lack thereof – don’t matter. We’re an informal bunch bound by two things, our love for nature and our love for the Mohican area. That’s what brought me to Mohican country in the first place, moving here after decades of wandering aimlessly in an urban environment. A few years after I migrated here from Columbus, some folks from the area started a local Audubon chapter. I was delighted. Regardless, I volunteered to fill a void created when former newsletter editor Su Snyder stepped down after six years of dedicated service. That’s normal for clubs like this. People have other commitments or they move on with their lives and no longer have time to participate. Which is what I’m getting at here. Like any other club, GMAS needs new blood. Not just new members, but a few more people to play more active roles. Please invite people you know who are interested in the area and its natural splendor to join GMAS. And, if you’re already a member, please consider playing a more active role in whatever capacity you can. To learn more, just come to a board meeting. They’re usually scheduled in conjunction with bird walks or other fun stuff – including lunch. Sorry, no Margaritas.